The VT-2004 Central Display area has been opened and is conveniently reached from the VT-2004 home page. This central feature of the VT-2004 programme acts as a "control panel" giving everybody direct access to the most relevant functions around the transit. Three image displays are located at the centre of this page on which will be shown (near-)real-time images of the Sun and Venus from many professional and amateur telescopes in different regions of the world. Below them a lively, running commentary will be made by a team of professional astronomers throughout the event, calling attention to particular developments as they arise. On the top of this page is the main display for the VT-2004 Observing Campaign that has already brought together more than 1100 observing teams from all over the world in a unique, global attempt to re-enact the determination of the distance from the Earth to the Sun (the "Astronomical Unit (AU)"). It will be updated at short intervals during the transit to show the development of the observations. This will include the number of contact timings already received at the VT-2004 center and also the momentary, resulting value of the AU, as calculated on the basis of these data. A button to the right of this display ("Observers") gives access to a world map with the observers' geographical locations. Other features on the Central Display include a series of buttons towards information about the weather, news articles about the Venus Transit (via Google), videos from the transit and an archive of previous issues of the Central Display page. There is also a link to page with numerous links to other websites at which photos and webcasts of the Venus Transit are expected to appear, as well as related TV and radio programmes. Moving ever closer to the Sun in the sky, Venus has now become a very difficult object to observe. At noon today in Central Europe (June 1, 2004, 12 hrs CEST = 10 hrs UT), the angular distance is only 11° and only 1% of Venus' disc is seen illuminated by the Sun. The planet's distance from the Earth is 44.3 million km and its diameter in the sky is 56 arcsec, corresponding to a 1 Euro coin seen at a distance of 87 metres. The planet is still quite brilliant (magnitude -3.9) and it is now best seen just after sunset, very low above the western horizon. 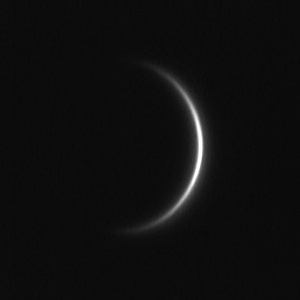 Photos showing Venus' extremely thin crescent are still being obtained by experienced amateur astronomers - some of them are available in the VT-2004 Photo Archive, cf. the one shown here by Herbert Raab (Linz, Austria), obtained on May 31, 2004. Germany : Among the many public events, the most spectacular one in this country may be that in the castle garden of Schwetzingen (a city close to Mannheim), planned by the most important astronomical institutions and publishers of astronomical journals in that region - the site was specially chosen as the Venus-Transit was observed from here on June 6, 1761. Several TV-teams will report about the Venus transit from selected places and a scientific show (QUARKS und Co., WDR) plans to follow the observations and reductions of data gained by children from Germany and southern Africa. At the National Node, public information activity will be combined with scientific observations at the German Vacuum Tower Telescope (VTT) on Tenerife. Hungary : Observations and demonstrations in high schools are organized by the Hungarian Astronomical Association (HAA) with the help of the Hungarian Schoolnet Physics Section. Visual, photographic and video observations are eagerly planned by dozens of active observers. The observations are co-ordinated by the Occultation Section of the Hungarian Astronomical Association. A member of the Association will travel to northern Norway to observe the transit from Vardø, i.e., the observing site of the famous expedition by Maximilian Hell in 1769. There will also be Hungarian observers in Australia and Brazil. Malta : Observations of the Venus Transit will be held in the capital city Valletta in one of its recently restored public gardens, the Upper Barrakka Gardens which were used in the 16 - 17th centuries by the Knights of Malta. The entire transit will be captured on a video-recorder, will be streamed on internet and be projected on a large monitor. A CD-Rom containing relevant information about the event and an 11-min video of how to observe the event (prepared with the courtesy of Czech producers Herafilm and Czech TV with the collaboration of the Czech British High Commission and with the assistance of ESO and NASA) has been distributed in all Maltese schools. This was greatly appreciated by all schools and by the Ministry of Education. 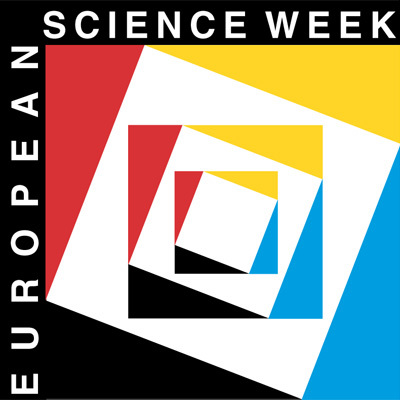 This activity is the climax event of the Malta Astronomy Week which will be organised from the 3rd to the 9th June 2004. Considering that such a period is a peak period for tourists in Malta, these programmes have been distributed in the main hotels and this event will be also supported by the Malta Tourism Authority. Spain : Several national newspapers and monthly magazines have already carried news about the Venus Transit, and the National Radio Station (RNE-Radio 5) News Service is airing daily 3-min documentaries on the Venus Transit. Our information brochure has been distributed to over 150 planetariums, science centres, universities, observatories, amateur groups, etc. with a total of 30,000 copies. Several museums have also printed materials, with information about the VT-2004 project. Three different planetarium shows have started, in Pamplona, La Coruña, Granada and Madrid, and are expected to draw many thousands of people. A CD-ROM with multimedia presentations, information and school activities has also been distributed. It can be downloaded from the web ( http://www.astrotienda.com/venus/). Our website experiences a steadily increasing number of visits and will soon link to over 100 different observation points; many will carry live images on June 8th. Some information (background, students' activities, kids area) on the web has been translated, not only into Spanish, but also into Gallego and Basque. The Ministery of Health has been provided with information about safe observation of the Venus Transit and it is expected that a press-release will soon be issued about this. More than 1100 groups and individual observers have now registered with the VT-2004 Observing Campaign; the number is still increasing. Of these, about 450 are school classes. It is important to have as large a geographical dispersion as possible of the observers - this will improve the determination of the Astronomical Unit. It would appear that the southernmost observations of the Venus Transit are being planned at the Australian Casey Station in Antarctica (latitude 66.3° South). From here, the Sun will be only two solar diameters above the horizon at the moment of the Second Contact. The northernmost observers are on Svalbard (Norway). As a very useful "by-product" of the VT-2004 programme, basic Image Processing is now available to everybody! Digital images frequently contain more information than is obvious at first glance. Wanting to help observers in getting the most out of their digital camera images, also those of the Venus transit, an easy-to-use facility has now been set up at the Ondrejov Observatory in the Czech Republic. Here, observers may submit their images and have a variety of well documented operations performed on them. On June 2nd, a complete preview will be available of the 28-min "Popularis" TV-film about the Venus Transit and the VT-2004 programme, produced by Herafilm (Prague) for Czech TV. It may be downloaded from the VT-2004 Video Clip webpage and also from the special page at the website of the VT-2004 Czech Node. The producers will be glad to discuss the possible use of this material by other broadcasters - interested parties may contact Ms. Sarka Spevakova, Herafilm (Prague), by Email: sarka.spevakova@popularis.cz or mobile phone: +420 724 348 388.